Get wise to potential hurdles you may face along the way to purchasing and building on a piece of property—and how to outsmart them. If you hope to build your dream house or even a getaway cabin, you’ve probably been thinking about finding the perfect piece of property. You may have already started looking, only to learn that bare land is at a premium in many areas of the country, and available lots in a development can come with heavy restrictions. That doesn’t mean you should settle or make an impulse purchase of the next parcel that comes along. Instead, check out the following dos and don’ts of buying land so you wind up with land that you’ll love. DO work with a real estate agent who specializes in land and building lots. You’re more likely to find suitable land when you work with an agent who focuses on buying and selling lots and acreage as opposed to one who specializes in existing houses or commercial properties. A knowledgeable agent can keep an eye out for suitable land and let you know the moment something new hits the market. Plus, you’ll have an expert who’s familiar with the various types of financing available for land purchases. DON’T overlook inexpensive home listings that look like fixer-uppers. Bare land that’s ready to build on is scarce in many communities and often limited to lots where only a cookie-cutter home that resembles every other house on the block can be built. But potential buyers often overlook a unique source when hunting for land: inexpensive fixer-uppers! These properties are often listed for less than the value of the land they sit on, and by demolishing the existing home and building a new one, you could end up with a great lot in an established neighborhood. DO consider home values in the surrounding area. For the best long-term investment, build a house of similar value to those nearby. If you build a $500,000 house in an area where the other homes are selling for under $200,000, you may have a hard time finding a buyer for it if you choose to sell later on. In addition, a lender may not want to finance a house in a price range that doesn’t match the market values of other houses in the neighborhood. If you’re set on a specific house plan, choose land in a neighborhood with homes of similar value. DON’T expect a conventional loan when buying land. Banks and lending companies shy away from loaning money for bare land and lots because they can’t sell those loans on the secondary mortgage market to financial entities such as Fannie Mae. If the bank can’t sell your loan, they can’t recoup their money, which means the bank is at risk if you decide to walk away. To reduce the risk, some lenders may require a large down payment, up to 50 percent of the purchase price, but others may completely refuse to lend money for bare land. 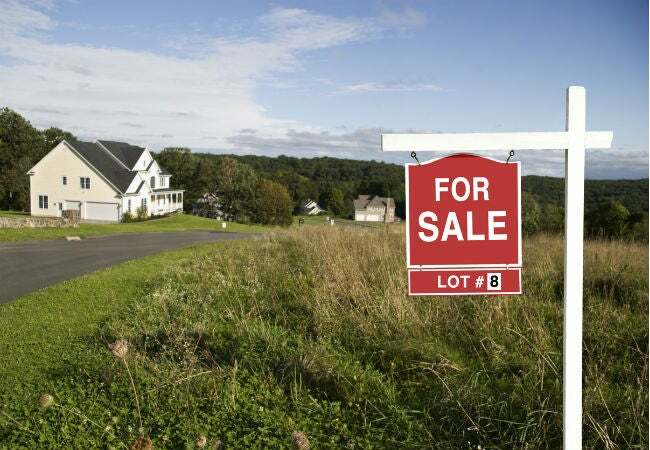 You may need cash to buy the land, or you might be able to negotiate a deal for seller financing, sometimes known as a “land contract,” which means the seller will often let you pay off the land in installment payments. DO investigate restrictions on the property. The time to find out if a piece of land comes with restrictions in the form of covenants or ordinances is before you make an offer. In some rural areas, you must own a minimum amount of acreage, often between five and 40 acres, before you’ll be given a permit to build a house on it. In neighborhood developments, there may be easements and legal setbacks that restrict not only where you can build, but also the size of the house. Other restrictions may dictate what type of siding you can put on your house or how steep the roof must be. Covenants and ordinances can be very restrictive, so check with the developer or the county Register of Deeds office to determine the extent of any snags. DON’T count on having the property rezoned after you buy it. Eager-to-build buyers often want to purchase a specific parcel of land so badly, they tell themselves they’ll be able to deal with zoning issues afterward. Unfortunately, there’s no guarantee you can have the land rezoned to residential from industrial or strict agricultural after you buy it—no matter what the current owner tells you. If the land in question isn’t currently zoned for your desired purpose, make an offer, but make the sale contingent upon getting the rezoning approved. That way, if the zoning authority turns down your request, you won’t be stuck with a piece of unusable land. DO have environmental testing done on land not part of an existing development. In an approved development, the developer most likely went through environmental testing as part of the subdivision and platting process. 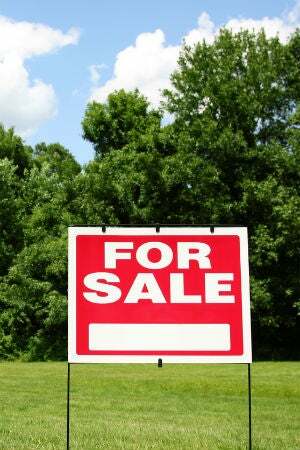 It’s a different story, however, if you’re buying land that’s rural acreage or a lot in town that’s been vacant for a number of years. Soil contamination or polluted groundwater, such as may exist if the vacant land once was used for a gas station or stockyard, could either prevent you from obtaining a building permit or create health hazards for your family down the road. 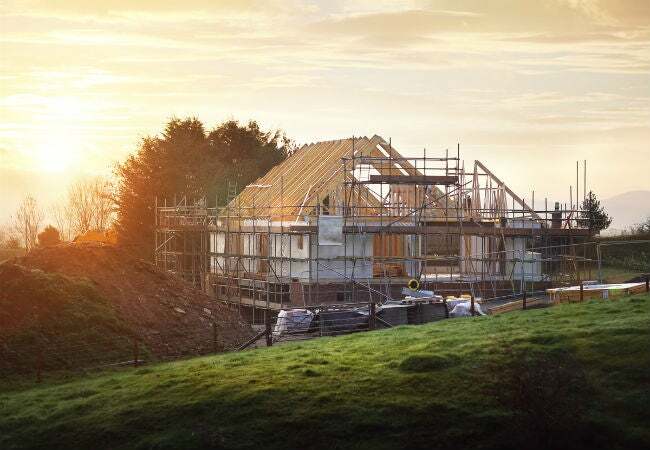 DON’T underestimate the cost of building a new home. Unless you’re looking for a piece of prime beach-front property, land cost is usually the least expensive part of any building project. Nationwide, the median cost of building a new home is approximately $150 per square foot or about $286,000 for a 2,000-square-foot home. And that’s just the house; if you’re building on undeveloped land, you’ll also need to factor in bringing utilities to the building site, as well as arranging for a private sewer system and a private drive. These costs, along with the price of obtaining permits and surveys, can add another $15,000 to $75,000 to your final cost. DO check out the neighborhood—extensively. In addition to driving around and pinpointing the locations of parks and schools, find out if future commercial developments are in the works nearby, such as a shopping mall or a recreation center. If you’re buying rural ground, check for potential drawbacks such as a nearby landfill or feedlot. Research recent County Commission records to determine whether a neighboring farmer has applied for a zoning variance in order to install a wind farm or for information about county matters you might find disagreeable and difficult to live near. DON’T forget about natural hazards. No matter how lovely a parcel of land looks, beware of hidden natural hazards that could affect your ability to build a house and your safety. If the land is in a floodplain, you may not be able to obtain a building permit, and if you do, you’ll be required to purchase flood insurance, which runs $600 to $3,000 per year, depending on the value of the house and the risk of flooding. Other natural hazards that can present building hurdles or result in reduced safety and home value include unstable soil, close proximity to a fault zone, highly erodible land, and an increased propensity for wildfires.